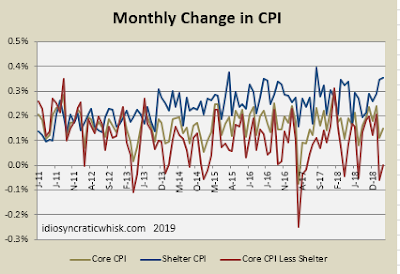 Non-shelter core is down to 1.1%, shelter is still at 3.2%, and core CPI inflation is at 2.0%. 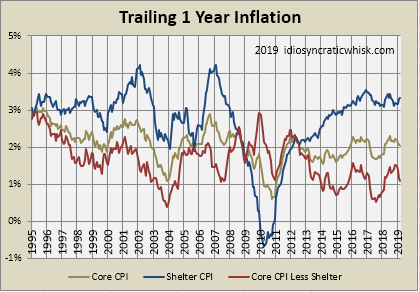 This is the setup that I worry will cause the Fed to be behind the curve. They believe that merely stopping the rate hikes will be enough. It's not so much that 1% inflation would be an automatic disaster. I'm not even sure it's a great recession indicator.